This post has already been read 3073 times! KEARNEY – Calvin Ochs isn’t a big talker. He’s not the rah-rah guy who motivates his teammates with enthralling speeches. 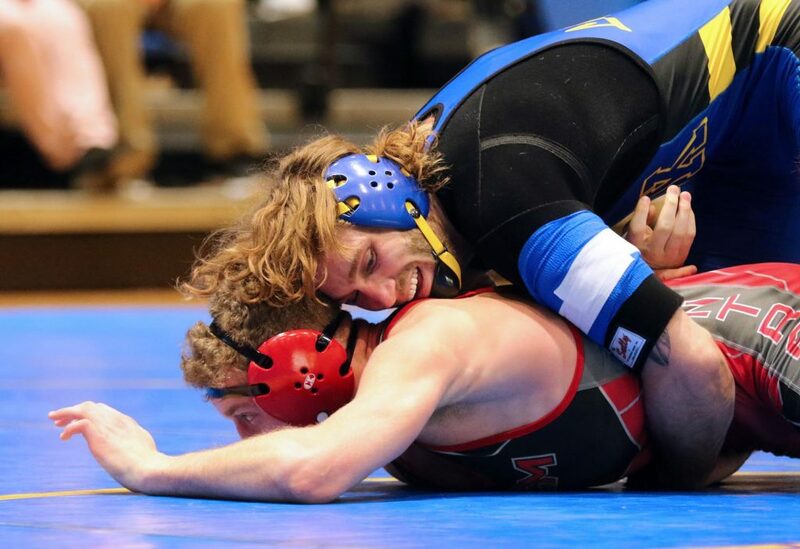 The University of Nebraska at Kearney wrestler lets his actions speak for themselves. The fifth-year senior demonstrates his toughness on a daily basis. Ochs, the top-ranked Division II wrestler at 165 pounds, is still battling a left shoulder injury he suffered during the 2016-17 season. The injury, followed by an unsuccessful surgery, forced him to miss the entire 2017-18 season and continues to cause problems for Ochs, who wears a protective brace during matches. Although the injury has limited him to just seven matches this season, he doesn’t view it as a weakness. It’s more of a motivator. Ochs is undefeated this season, with victories over seventh-ranked Kyle Jolas of Lindenwood, ninth-ranked Devin Fitzpatrick of St. Cloud State, 2018 All-American Devin Austin of Pittsburgh-Johnstown and 2017 national finalist Brock Wingbermuehle of McKendree University. He went 3-0 at the National Duals, where the second-ranked Lopers finished third for the second consecutive season. That internal drive is what separates the two-time Division II All-American from his competition. Ochs had that mentality long before he arrived at UNK. The Hoxie, Kansas, native was a two-time state champion in high school, posting a 46-0 record as a senior in 2012-13. He started his collegiate career at Colby Community College, about 30 miles away from his hometown. 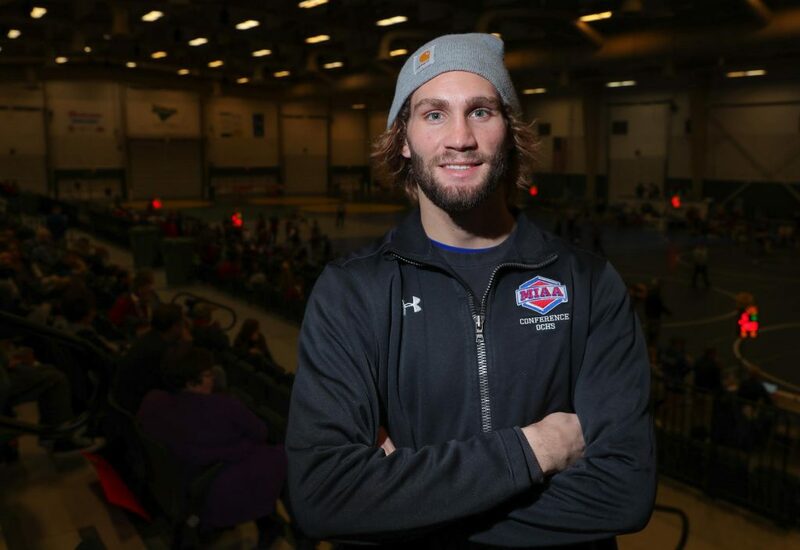 Ochs wanted to remain close to his family, and he had a strong relationship with head coach David Nordhues, a three-time Nebraska state champion from Greeley High School who wrestled at Colby before becoming a two-time All-American at Fort Hays State University. “I had options to go other places, but I really respected him and liked what I was getting out of him,” Ochs said of Nordhues. 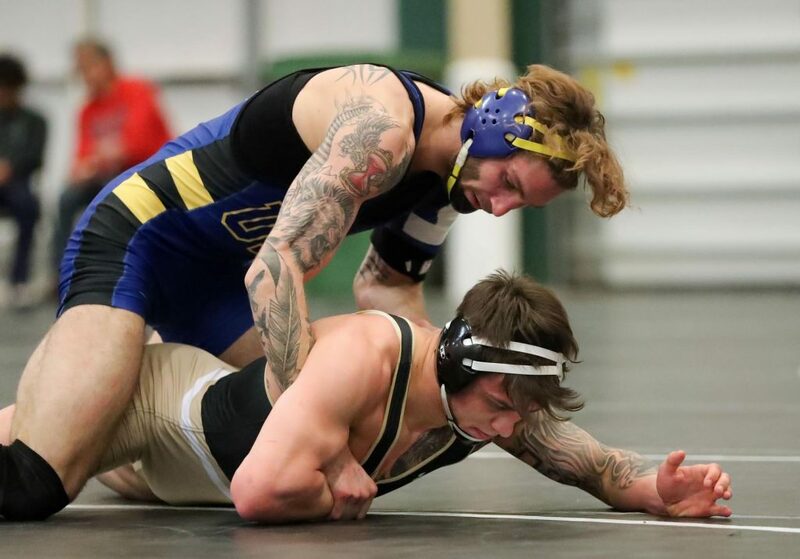 The 165-pounder excelled during his only season at Colby, finishing as the national runner-up and a National Junior College Athletic Association All-American. Then the sport took a backseat to other priorities. Ochs left school after the fall 2014 semester and returned to the family farm to help his mother. After spending more than a year away from wrestling, he faced another tough decision. Ochs planned to enroll at Fort Hays State and was less than 24 hours away from heading to campus to sign the paperwork when he received an unexpected phone call. Hall-of-fame coach Marc Bauer, who led the Loper wrestling program from 1999 to 2016, wanted to chat. Bauer previously coached another wrestler from Hoxie, Kansas, and Colby Community College – Tyler Baker – who also happened to be Ochs’ cousin. Baker told Bauer his cousin was looking for a new school, and the UNK coach was immediately interested. The talent was undeniable, but Bauer also saw a young man who was willing to work hard and set a good example for his teammates. “That’s what I was hearing from everyone, that he’s just a good kid,” said Bauer, who currently serves as UNK’s interim athletic director. Ochs’ next trip to Fort Hays State came as a member of the UNK wrestling team. “It’s given me the opportunity to get my priorities right and figure out what I want,” said Ochs, who will graduate in May with a bachelor’s degree in business administration with a finance emphasis. Bauer has also noticed that maturation, which he attributes to Ochs’ mental toughness, focus and commitment to being a better student-athlete and person. “A lot of kids who have gone through what he’s gone through, they would have hung it up a long time ago,” Bauer said. Ochs went 24-6 in his first season at UNK, winning a Mid-America Intercollegiate Athletics Association (MIAA) title and finishing fourth at the national tournament. As a junior, he put together a 27-6 campaign, adding a second MIAA title, a regional championship and another fourth-place finish at nationals. Those are impressive accomplishments, but Ochs isn’t satisfied with a season that ends in a loss. He won’t tell you he can win a national title during his final go-around – that’s “bad luck” – but a couple other guys are willing to do the talking for him. “He would have won a national title last year, and he’s got the ability to win a national title this year,” Bauer said. “He doesn’t have that No. 1 ranking for nothing,” the UNK coach said. Upcoming home events: The Lopers face Fort Hays State for an MIAA dual 3 p.m. Feb. 10 and UNK will host the Super Region IV Championships beginning 11 a.m. Feb. 23.